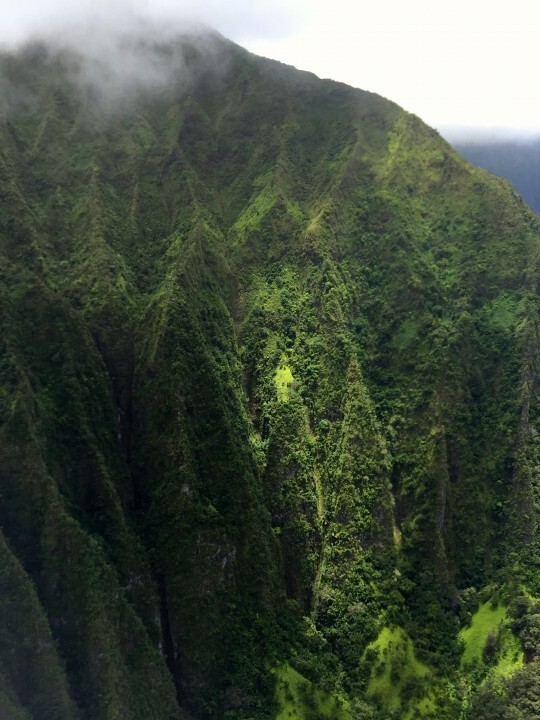 We have not chosen the two Hawaiian Communities yet, but this is an aerial view of the Koolau’s taken by Wendy Miles. What does building a landscape-level understanding of our resources look like? The Resilient Hawaiian Communities (RHC) initiative is a 2-year effort developed at the request of, and funded by, the U.S. Department of the Interior (DOI) under the Service First Authority with the purpose to assist two communities in Hawaiʻi to develop resilience plans in partnership with Native Hawaiian, State, and Federal organizations. It is funded under DOI’s Service First authority and is co-led by staff from the Pacific Islands Climate Change Cooperative (PICCC), Department of the Interior’s Office of Native Hawaiian Relations (ONHR), National Park Service Pacific Islands Office (NPS), and Ka Huli Ao Center for Excellence in Native Hawaiian Law at the University of Hawaiʻi Mānoa. This partnership will build on existing DOI-supported projects that already have begun to articulate the resilience and adaptive capacity of Hawaiʻi’s ecosystems, including the President’s Resilient Lands and Waters Initiative (completed in 2016) and the PICCC’s ongoing Hawaiian Islands Terrestrial Adaptation Initiative. It aligns with the Service First goals of enhancing mission delivery through interagency collaboration and improving operational efficiency by bringing together knowledge, information, and decision support tools via a singular initiative. We will be providing a biocultural framework for resilience planning at scales relevant to island communities (landscape-level), informed by both local/traditional ecological knowledge (TEK) and cutting-edge, actionable science.